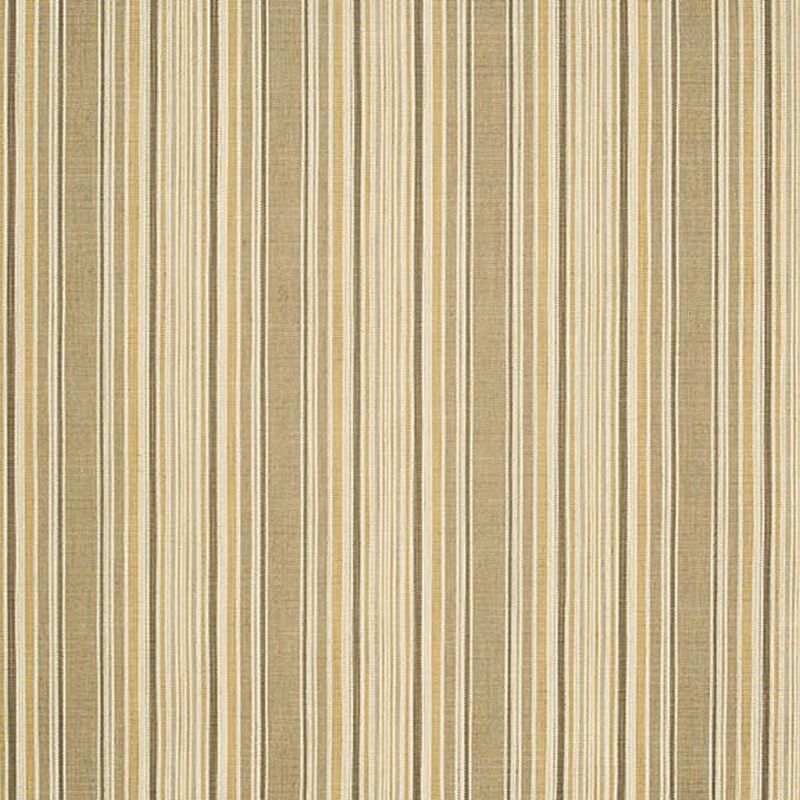 Reel Parchment from the Sunbrella Fusion collection is a solution dyed, textured, medium scale stripe design in shades of Walnut, Golden Wheat, Stone Grey, Pewter Grey and Parchment. The overall pattern repeat is Vertical 6.83 inches. The various weaves create the physical texture. Sunbrella is a High Performance Indoor/Outdoor Upholstery Fabric available in a wide variety of solids, stripes, textures and decorative jacquards. Sunbrella is able to resist stains, mildew and fading, making it a great choice for patio and pool side furniture as well as indoor upholstery. This fabric is suitable for cornice boards, pillows, cushions, room dividers, headboards and furniture upholstery.